Whether in the living room, in the bedroom or on the building site: an excessively high humidity in the surrounding air is almost always associated with the formation of condensation water. The water vapour contained in the air deposits on cool surfaces and causes undesirable condensation water, which can cause considerable damage to the immediate environment. Corrosion and mould formation are the most frequent consequences and not only attack materials and walls but also pose a health risk to you and your fellow human beings. If you want to prevent the formation of condensed water and its negative effects on man and the environment, the use of a dehumidifier is indispensable. Only a dehumidifier helps you quickly and efficiently remove the surplus water vapour from the ambient air. Reduce the humidity to an appropriate and harmless degree and consciously ensure a comfortable living environment. Do you have problems with damp walls, mouldy wallpaper or water formation on the window pane? Do not hesitate, but use a portable dehumidifier to lower the humidity in your home. Provide rapid and long-term remedial action to prevent damage to your building structure or health. The dehumidifying performance is an important feature and should be considered for every room dehumidifier. This value specifies how much moisture can be removed from the ambient air in a certain time interval. 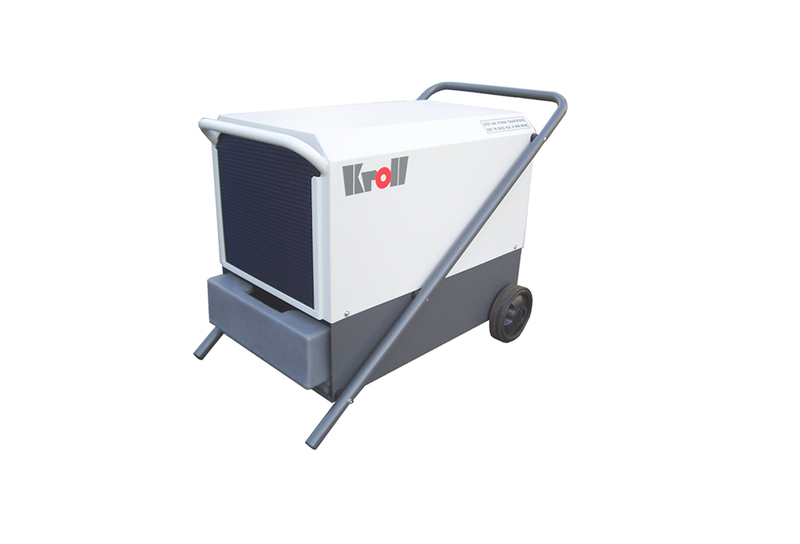 The dehumidifying performance is expressed in the unit of litres per day (l / d) and is typically in a range between 10 and 60 litres per day in a smaller portable dehumidifier. 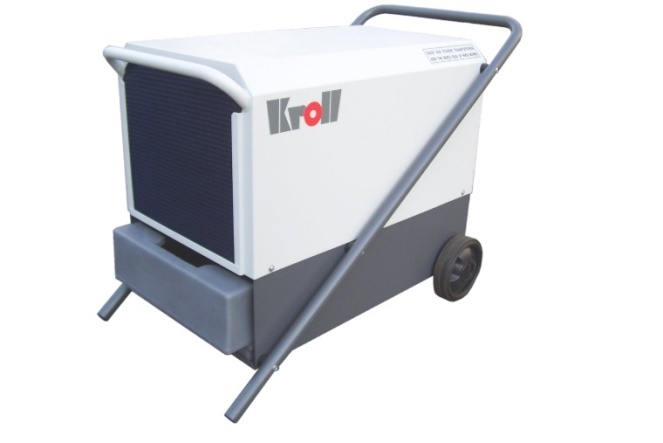 In the run-up to a new acquisition, you must therefore determine the room size as well as the moisture content prevailing there and then select a portable dehumidifier with a corresponding dehumidifying capacity. A dehumidifier can also be used for basements and cellars. These rooms also have a high humidity risk; since little is aired, are often closed, and the dampness rapidly settles on cold walls. This ensures a perfect breeding ground for mould. For basement and cellars , it is also advisable to install a portable dehumidifier. To prevent moisture damage and mould. The larger the space, we recommend a room dehumidifier with more recording capacity. A Basement or living spaces have different demands on a dehumidifier. A cellar with moisture problems is typically more moisture entry and is not so well heated like a living room. Often, even moisture, which from the summer into the walls, must be dehumidified in winter. In living areas, it is important that the humidity new entry is eliminated as quickly as possible to prevent mould growth. In addition, a low humidity is also useful, because less energy is required to heat the rooms. Rust and corrosion is your car’s biggest enemy. And they are hiding in your garage – in the form of moisture in the air. Together they cause steel and iron to rust. And what happens next, you know only too well. Rust will make your car’s material absorptive and you will have to invest la considerable amount of money to get it back to working order. So , in order to ensure that your well-loved car is protected, not only do you need an extensive care routine and to have it routinely inspected, but it is equally important to have a good garage environment, where you know that your car is being well looked after. And at the end of the day, it all comes down to the level of relative humidity which should not be above 50%. Below this level it is virtually impossible for rust to form. But be advised! If the level should rise, corrosion will rapidly increase, so use a portable dehumidifier to prevent this. 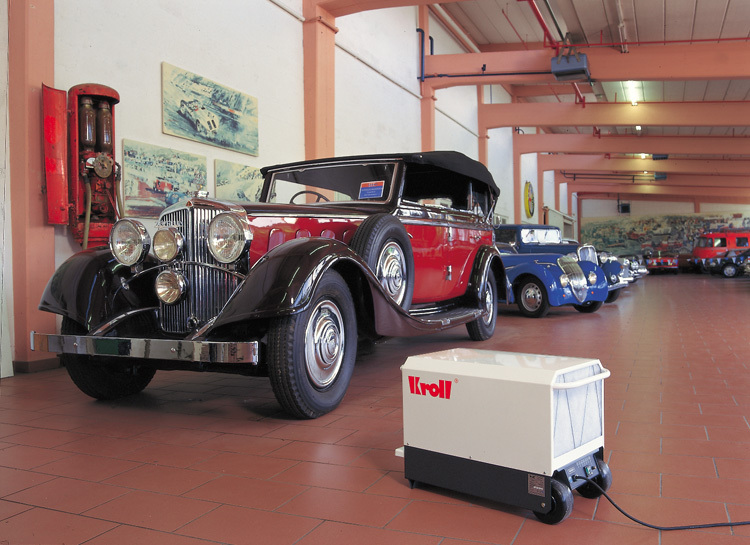 Flexiheat offer a wide range of dehumidifiers, suitable for garages. Condensation and damp problems are not solely limited to the home environment but can also occur in sheds and garden houses. The root cause of damp in sheds is often as a result of a lack of heating and ventilation, as sheds are predominantly a cold environment. 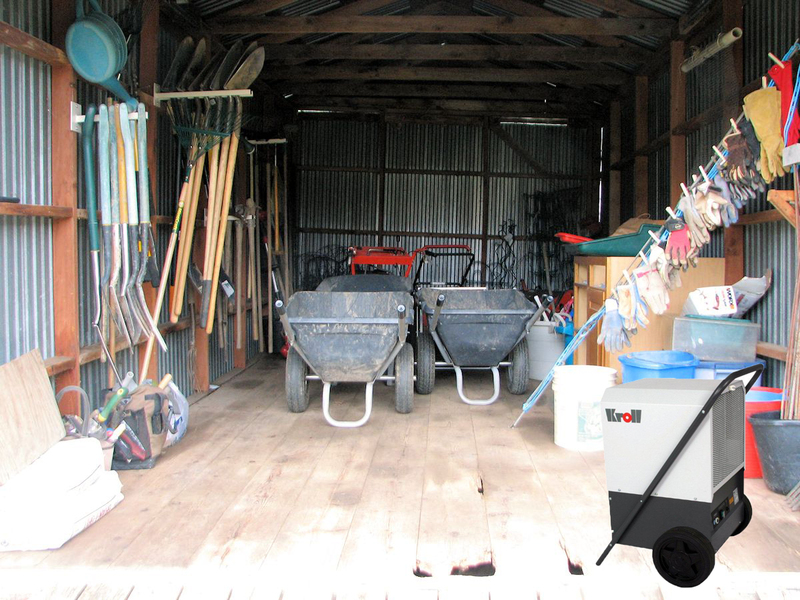 In an unheated closed space such as a shed the air temperature rises and decreases very quickly, sometimes the dew point is reached and dampness advances out of the air and onto to the items that are being stored, making them damp. By winter the temperature often does not rise enough again to dry out this dampness causing items to become damaged. Many people find their garden tools rusted, or when opening their shed or garden house experiences a frosty, stale smell or even mould. To ensure that the garden tools and garden furniture stored in a shed are well protected over autumn and winter, it is important to keep it dry in order to avoid corrosion and mould. But, how do you create a dry space, which is exposed continuously in damp and cold? Firstly it is important to make sure that the shed or garden house is inspected from outside. Joints, cracks, or holes must be repaired, otherwise water or moisture would be absorbed in the rain or moisture and moisture damage could occur. Flexiheat offer portable dehumidifiers that are the economical solution to prevent moisture, mould, mud and smells, while at the same time producing a healthy living environment.